Synergy maximizes customer experience to maintain quality and repeatedly exceed sales goals. In October 2003, the Federal Trade Commission amended the Telephone Sales Rule and created the highly publicized and politically charged National Do Not Call Registry. The National Do Not Call List was embraced by the public with over 60,000,000 numbers added to the list in the first month and over 170,000,000 numbers now. However, the ruling allowed for an Existing Business Relationship (EBR) exemption that allowed businesses to contact their own customer base within 18 months of a transaction. One of Synergy Solution’s client partners, a large national financial services company that is exceptionally focused on the quality of the customer experience, initially chose not to call its own customers if they were on the Do Not Call list. 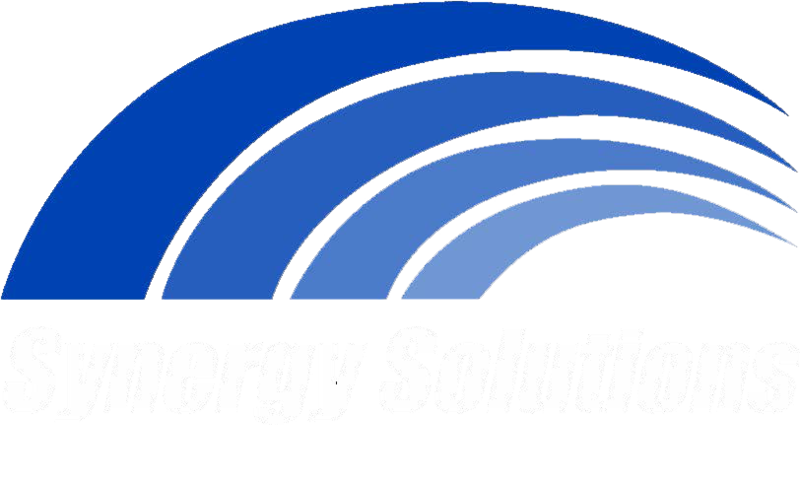 Synergy’s client recognized the importance of being able to communicate with its own customers, but also felt that the political hype around the DNC list could mean that a telemarketing call would be upsetting to these customers and Synergy’s partner was not willing to risk providing its customers with anything less than an outstanding customer experience. Approximately 18 months after the DNC list went into effect, and after months of serious deliberation at very senior levels within the Bank, Synergy’s client determined that it was appropriate to offer these customers a product that provided credit monitoring and identity theft protection via the outbound telemarketing channel. This program was considered extremely high profile and was designed to meet the strictest standards of courtesy and professionalism. Synergy’s client was taking both the risk of contacting these customers as well as contacting them through an outsourced partner. At the time, Synergy was the primary teleservices provider for this product and had demonstrated continued commitment to quality and ethical teleservices, while conducting the program to the bank’s non-DNC customers. In fact, Synergy’s demonstrated quality and performance allowed us to grow the program from 2000 hours of outbound work per month to over 30,000 hours of outbound, combined with also handling inbound sales and inbound retention for this client over the course of 5 years that we have provided services for this Bank. Because of Synergy’s belief in partnership and our outstanding results, we were chosen as the vendor for the high visibility campaign. Due to the high profile of the program and the sensitivity of the customer base, Synergy sent a management team consisting of the Chief Operating Officer (COO), the Account Manager, the Call Center Manager and the National Quality Manager to the client’s site for a pre-launch strategy meeting. During the meeting, our client stressed the importance and visibility of this project to the entire organization, especially the Senior Executive Team. The mantra “failure is not an option” was put forth in no uncertain terms. Key Performance Indicators were discussed and a subsequent meeting schedule was established. Synergy spent the next few weeks carefully selecting the site the agents, and the program manager for the program. Working in conjunction with our client, we created several custom programs that scrubbed all leads on a daily basis to ensure that we were excluding consumers for client specific reasons. Internal meetings occurred to ensure that all Synergy team members were working toward the goal of a smooth and timely launch and toe nsure that every agent, quality coach and supervisor understood the sensitivity of the program. Creative incentives were rolled out during the launch that focused on the customer experience rather than the quantity of sales. Synergy launched the program on in our New York Call Center. Several members from the partner’s management team came to oversee the launch, as well as Synergy’s COO, Account Manager and National Quality Manager. The education focused primarily on the sensitivity of the customers. It was stressed that quality was of paramount importance and should not be sacrificed for quantity of sales. Synergy increased our frequency of quality monitoring to ensure that we were providing the expected level of service. The original plan was for the client to be on site for a minimum of eight weeks, overseeing the daily operations, but after just two weeks of dialing, our client reached a comfort level that allowed them to leave the site. Due to the level of quality and service that was delivered, Synergy was able to expand this program to a second site within a month of dialing. Furthermore, in less than a year, the business has evolved from 3000 hours per month in one site, to 15,000 hours per month in two sites. Communication, both written and verbal, was instrumental in an on-time and successful launch of this program. Because there were changes to scripting, layouts, transmissions and reporting, Synergy’s entire IT team was involved. Hourly flash reports were generated and distributed to the client and throughout Synergy to ensure that everyone was looking at the key metrics. Synergy established daily monitoring sessions to ensure that we were not only meeting, but exceeding client expectations. Furthermore, Synergy’s flexibility and “on call” staff allowed for some reporting modifications to be made during our first few days of dialing. Key Performance Metrics are tracked on an hourly and daily basis. A critical metric for this initiative was the percentage of calls resulting in a company specific Do Not Call Request. Synergy developed custom reporting to measure this statistic real-time and provide that feedback directly to our client. We managed to client-mandated benchmarks for this metric and were instructed to immediately cease dialing operations if the metric were to exceed predetermined levels. Daily listening sessions were conducted by the client to ensure that the customer experience was a positive one. Tantamount to managing the DNC percentage, however, was obtaining a high sales conversion. We generally found these customers to be very receptive to the call and the actual conversion percentage was 72 % higher when speaking to this customer segment than when we marketed identical products to customers who were not on the National DNC list. Customers were generally receptive to hearing a presentation from their financial institution and appeared to respond positively to a professional and caring sales approach. Our commitment to maximizing the customer experience has allowed us to not only maintain our client’s commitment to quality, but to exceed our client’s sales goals in each month of calling on this program.